Optimal computerized manufacturing demands the expertise of skilled programmers as well as experienced machinists who can perform even the most complex CNC milling and turning operations with unparalleled accuracy. Northwest Precision, Inc.’s range of precision CNC machining, CNC milling and CNC turning capabilities range from small to moderate-sized runs. We utilize only the most technologically advanced CAD/CAM programs to generate custom tool paths, create two and three-dimensional geometric shapes and provide precision contour work on materials such as aluminum, brass, copper, plastic, steel, stainless steel and tool steel. Our CNC machining services are reputable, fast and programmable to meet your requirements. We strive to enhance our customer relationships by coordinating efforts to increase the manufacturability of your design, standardize accuracy and reducing final costs. 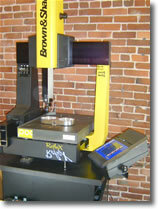 Northwest Precision Inc.’s customers rely on their value engineering expertise and innovative manufacturing solutions. Trust Northwest Precision, Inc. to deliver exceptionally economical and precise CNC machining, CNC milling and CNC turning services meticulously rendered to ensure overall effectiveness, cost, reliability and value to our customers. Northwest Precision, Inc. is proud to have served many valued customers in New England and North America. Please contact us today to learn how Northwest Precision, Inc. can become your strategic partner of choice for optimal CNC machining services at an outstanding value.